Many of the charms of Paris are free - walking along the Seine or exploring the cobble stoned streets, sitting on a park bench and soaking up the sun in many of Paris's beautiful gardens, or window shopping in the trendy shopping districts of St. Germain des Pres or the Marais. Need more ideas? Here's five, free, fabulous experiences in Paris that won't cost you a euro-cent. Four Things to Do in Paris for less than 25€. 1. Visit a Parisian at Work - Fashion designers, furriers, chocolatiers, bakers, furniture makers, cheese makers and other craftsman share the intricacies of their art/trade for no charge in the "Meet the Parisians at Work" program sponsored by the Paris Tourist Office. 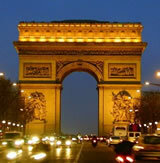 The list of artisans is extensive and all visits are in French/English. 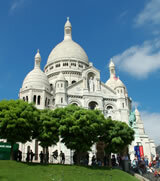 View the schedule of open houses at the Meet the Parisians at Work web page. 2. 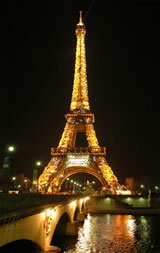 Take a Walking Tour - The best way to see Paris is on foot, and there is no better way than with an experienced tour guide. Sandeman's New Europe offers a free 3.5 hour walking tour through the heart of historical Paris highlighting the Latin Quarter, Notre Dame, the Louvre, Tuileries Gardens and the Eiffel Tower. 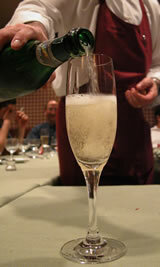 The catch - Sandeman's hopes that you'll enjoy the tour, and book a paid walking tour with them in the future. Also, the tour is free, but the tour guides live off of tips, so a gratuity is expected. 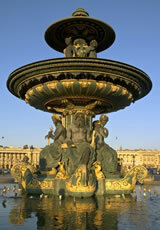 The Free Tour meets daily at 11am in front of the fountain at Place Saint-Michel in the Latin Quarter. 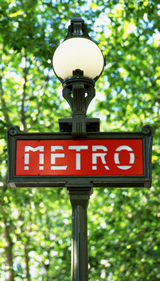 To get there, take Metro Line 4 to Saint-Michel and exit the station using the exit "Fontaine Saint-Michel". Look for the guides wearing the red New Paris Badges. Reservations are not required. 4. Attend an Organ Concert - Attend a free organ concert at The Saint Eustache Church, known for its musical traditions and famous choral performances. Constructed in 1532 - 1632, this gothic church was where Berlioz’s first performed Te Deum, Liszt premiered his Messiah and where Mozart chose to have the funeral for his mother. The Saint Eustache organ is one of the largest in the world with 8000 pipes. Free organ concerts are performed every Sunday at 5:30 pm. (schedule). After the concert, walk outside to view the strange large head and hand sculpture buried within the pavement. The sculpture is called "l'Ecoute" by Henri de Miller. Metro: Les Halles. 5. Attend a Fashion Show - The Galeries Lafayette department store showcases the latest designer trends and couture creations in a free 30-minute fashion show every Friday at 3pm. Grab a seat on the catwalk by emailing welcome@galerieslafayette.com and requesting a reservation. After the fashion show, browse the cosmetics department on the ground floor, and ask for free samples - you'll be amazed at the quantity of samples that you'll receive. Instead, of "gifts with purchase", Parisians introduce products via free samples. Once, when we purchased a single Chanel lipstick, we received a "goodie bag" with samples of three Chanel lipsticks, two complementary blushes, and three skin care items - c'est magnifique!